Interplastica 2019 in Moscow （From 29 January to 1 February） - Ehao Plastic Co., Ltd.
We will intend to Interplastic in Krasnaya Presnya (Moscow) at Hall 2.3-B30 on Jan 29th,2019 to Feb 01st,2019.Warmly welcome to visit us! Interplastica,the 22nd International Trade Fair for Plastics and Rubber,is a 4 day event being held from 29 January to 1 February at the Expocentr Krasnaya Presnya in Moscow, Russia. 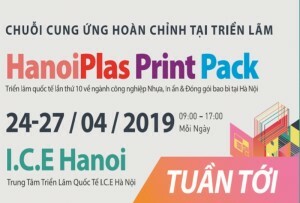 This event showcases products like Machinery and Equipment for the plastic and rubber industries, Raw materials and auxiliaries, Plastics and rubber products, Services for the plastics and rubber industries, Logistics etc.